Gipson asked Tyrese how he got started in his singing career (remember his Coca Cola commercial on a city bus in 1995?). I gather that this whole story is covered fully in his book, which I haven’t read yet, but he talked about how he was three hours lat for the audition and almost missed the opportunity. Jack Johnson, who worked for Russell Simmons at Def Jam, mentioned that a lot of people see the end results of success, but don’t understand the process. There were times that he slept under the desk at Def Jam. He said what makes himself, Tyrese or anyone else successful is the decisions you make day in and day out. Will Smith mentored Tyrese about the “Circle of 5,” saying that if you don’t like where you are in life, you can trace it back to the five people you spend the most time with. If you change your surroundings and the people you hang out with, you’ll change your life. Tyrese: “I think people talk too much. Shut up. Stop telling people all your business. Most people aren’t happy for you. Look at people’s reactions when you talk about your blessings and your dreams.” This gives you an indication of who you need to get away from, and who shouldn’t be in your circle. Tyrese: “There’s so much more to do than just [spend money]. Are there any dreamers in here? [Looks for the raised hands.] I’m not a dreamer.” Here he mentioned that he loves his life so much that it’s hard for him to sleep, and that sleep is just a waste of time to him. “When I see something, I get exposed to it, motivated and inspired. It has my name on it. I don’t get insecure or want what someone else has.” He went on to say that people can make negative comments when you tell them about your dreams, but think about it: God gave you your dreams just for you, so how can you expect anyone else to see what God showed you? There is a proverb in the Bible that says, “As a man thinketh, so is he.” As a Man Thinketh is also a book that changed Tyrese’s life. Q: How do you balance your work and fatherhood? Tyrese: I can balance everything because I absolutely LOVE what I do. And I have a bottom line with my daughter Shayla, who is 3 years old. I unapologetically let go of people who could sabotage my life, without any guilt… Most of us know that people come into our lives for a reason or a season, but some of us don’t know when to cut off people when there season is up.” He talked about how he could think back to old friends, what they’ve done together over the years, but the “Circle of 5” mentality is in effect, and “there is an expiration date on my loyalty.” He also explained that he doesn’t want to deny his daughter of any great experiences such as, for example, not being able to send her to Spelman because he wouldn’t let go of some bad friendships, and experienced a big financial setback. Q: How did you write this book, and what is your advice for other writers? Johnson: You have to make the time to write. Figure out your process, what works for you and when you are the most creative. The book The War of Art is a book about procrastination and finding your creative process, and it was very helpful to me. The more you make the time to create (writing, music, etc. ), the more you will produce. Tyrese spent some time talking about his mother, and the process he’s been going through in trying to establish a healthy relationship with her. She spent most of his life drunk, and then a few years ago, he decided to stop enabling her. He said God showed him that “You’ll never be able to help if you’re helping.” So he cut off his mother for a year, but now she’s doing well, and been sober for four years. They had a talk one day in a hot tub (which is covered in the book) in which she explained how Tyrese was conceived, and how she was raised. It turns out that her mother did the same thing she did–spent most of her life drunk. But when Tyrese pointed this out, she got mad and said she wasn’t just like his grandmother. He said he forgave her because she was doing the best she knew how to do– that’s how she was raised, so that’s how she raised her kids. But he’s still a work in progress: “How can I enjoy my ‘new’ mother, when I had 27 years of sadness with my ‘old’ mother?” He said he doesn’t want to remain bitter and angry until she dies and miss the chance to have a real relationship with her. He continued, “Your version of love is based on what you were shown. You date a man like your father, or someone who reminds of you of your mother’s boyfriends because that’s what you’re used to–even if you didn’t like it. You submerge yourself in drama because you don’t like yourself. 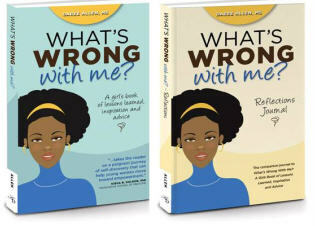 Johnson: I’m satisfied with pleasing God in private, not pleasing people in public. Tyrese: I’ll never see myself not loving a Black woman. [Thunderous applause.] I am not a homosexual. If that’s what you do, that’s fine, but that’s not me. I’ll never not give all my praise and glory to Jesus Christ. [More applause.] I will not indulge in anything that will sacrifice my integrity, my love of God, and most importantly my fatherhood. I pride myself in all of those things. Please pray for me. 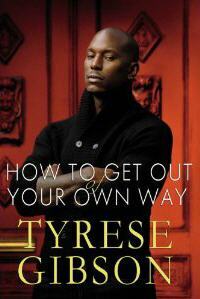 I am looking forward to reading Tyrese’s book. His book’s genre is similar to mine, where he combines life experiences and lessons learned to share with others, so I was able to get another perspective on a few of the things I have written about there. Here is a quick summary of what I thought of the event. He was transparent about a lot of issues that he (and we) suffered with as children who didn’t have the best parenting role models, which can affect us profoundly if we don’t deal with the issues, and can possibly be carried to the next generation. His message and theme of self-responsibility and self-reflection was prevalent throughout. The victim mentality is played out in my opinion–it’s time for men AND women to grow up and accept responsibility for their choices. He advocated therapy, which is typically taboo in the Black community. I commend any public figure who reveals their shortcomings with the purpose of helping others, and breaking the isolation that leads to anger, resentment, and depression.